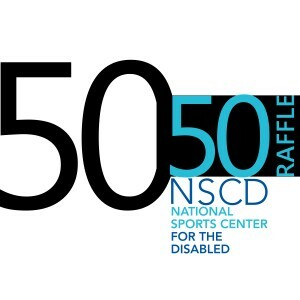 The National Sports Center for the Disabled (NSCD) will be hosting a 50/50 Raffle at all Denver Broncos home games during the football season. This game-day fundraiser provides fans the opportunity to purchase raffle tickets before and during all Broncos home games. One lucky fan will go home with half of the net proceeds and the other half will be donated to the NSCD and Denver Broncos Charities. Don’t miss this chance to have fun and support a good cause! 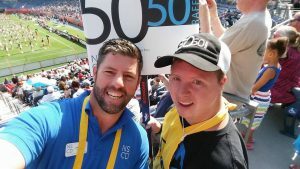 Sign up to volunteer for the 50/50 Raffle at one game or multiple games. 8-19-19 Preseason Denver Broncos vs. San Francisco 49ers 6:00 p.m.
9-15-19 Denver Broncos vs. Chicago Bears 2:25 p.m.
9-29-19 Denver Broncos vs. Jacksonville Jaguars 2:25 p.m.
10-13-19 Denver Broncos vs. Tennessee Titans 2:25 p.m.
10-17-19 Denver Broncos vs. Kansas City Chiefs 6:20 p.m.
11-3-19 Denver Broncos vs. Cleveland Browns 2:25 p.m.
12-1-19 Denver Broncos vs. Los Angeles Chargers 2:25 p.m.
12-29-19 Denver Broncos vs. Oakland Raiders 2:25 p.m.
Must be 16+ years (unless accompanied by an adult, excluding small children). All volunteers should be able to actively sell raffle tickets and approach numerous spectators, as the success of this fundraising event depends on our volunteers ability to engage and sell!